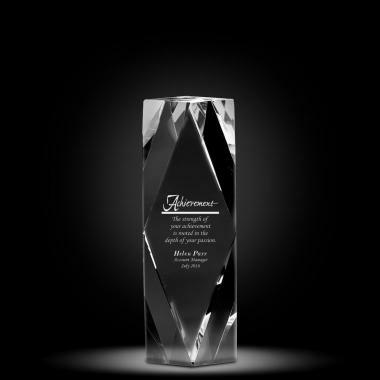 A flawless optic crystal award suitable for recognizing impressive achievements at every level. The dramatic shape exudes excellence while the optic crystal makes a perfect backdrop for the message. Gift boxed. Use our inspirational and motivation messages to inspire your award recipients or write your own message of inspiration to create a one-of-a-kind award.